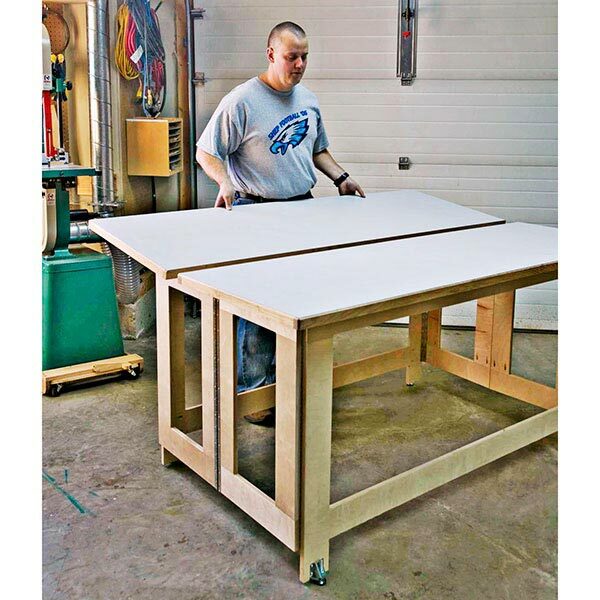 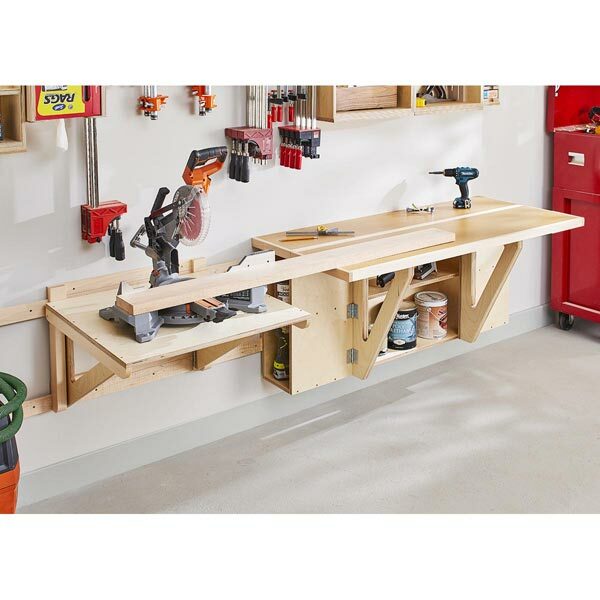 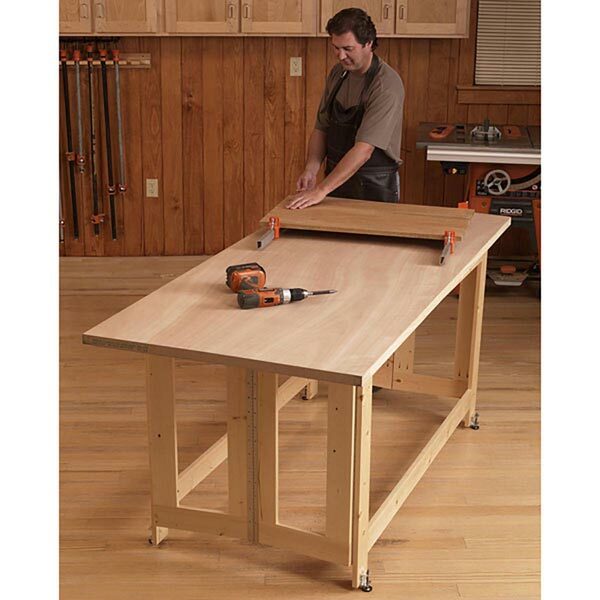 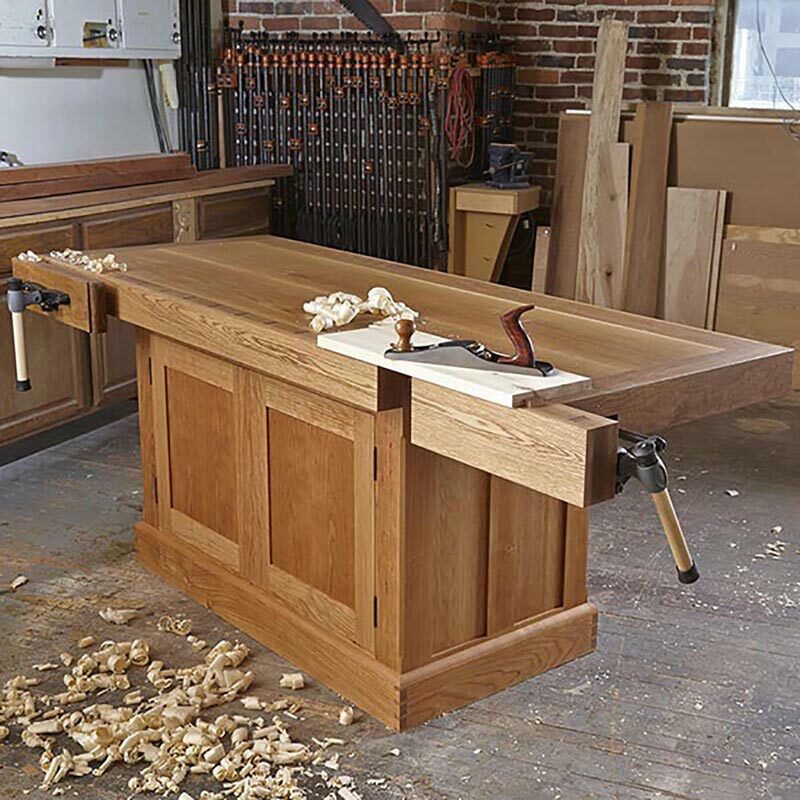 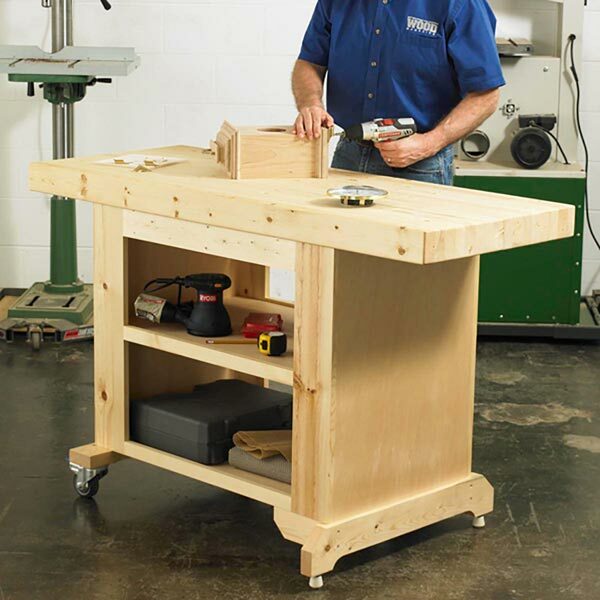 Whatever you desire in a dream workbench, this one has it: At 525 pounds it won't budge regardless of how hard you push on it. 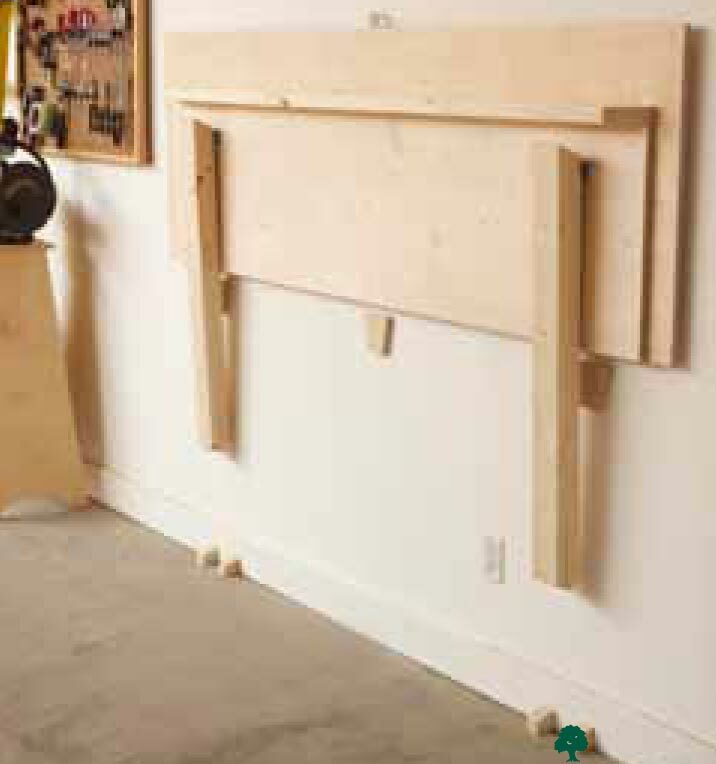 Heavy-duty construction means it won't rack and will readily absorb the heaviest mallet blows. 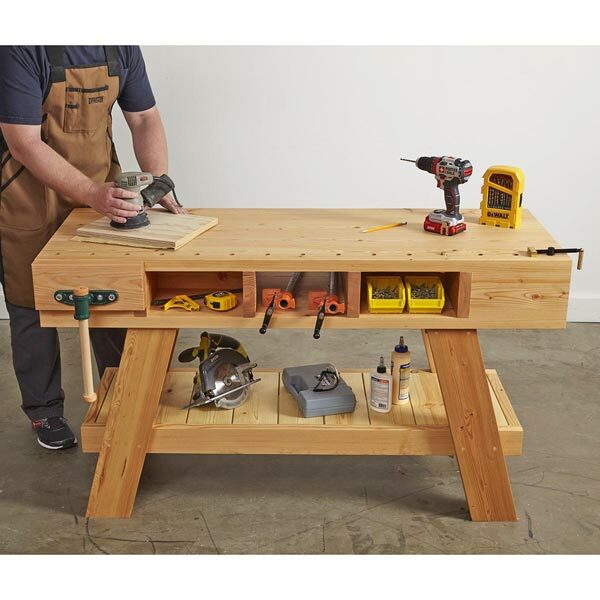 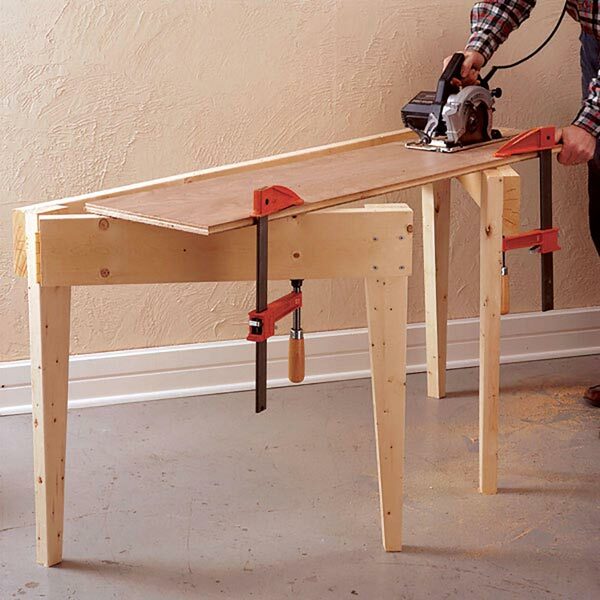 A tail vise, front vise, and plenty of bench-dog holes give you all the work-holding options you'll ever need. 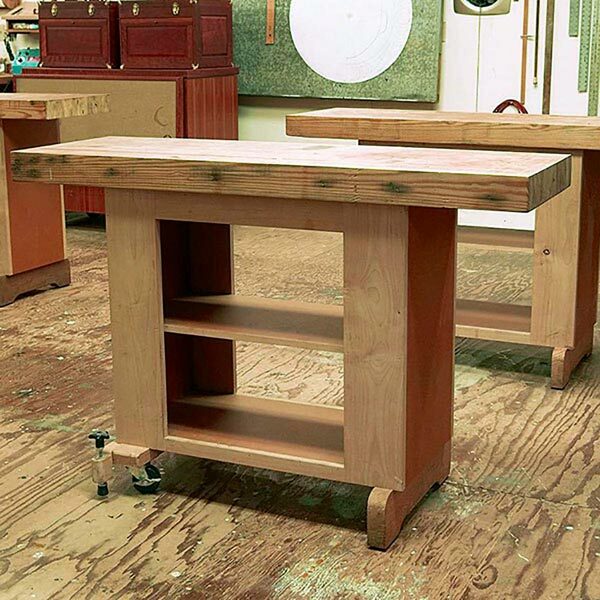 And a stout, yet beautiful, supporting cabinet provides storage. 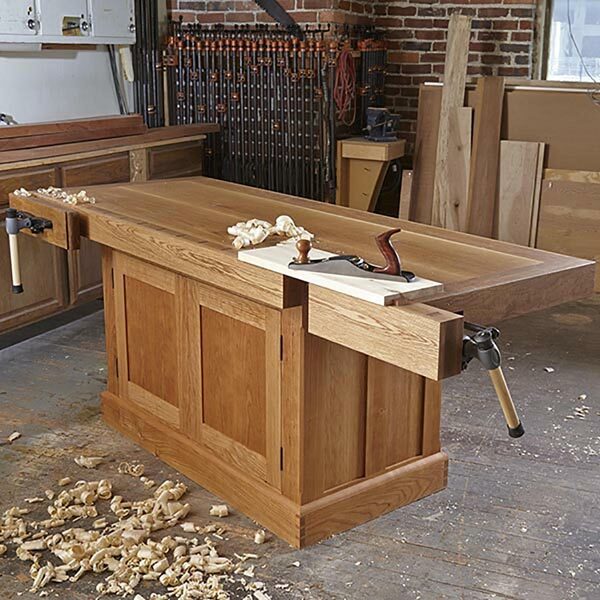 That all adds up to a bench you'll absolutely love to use.